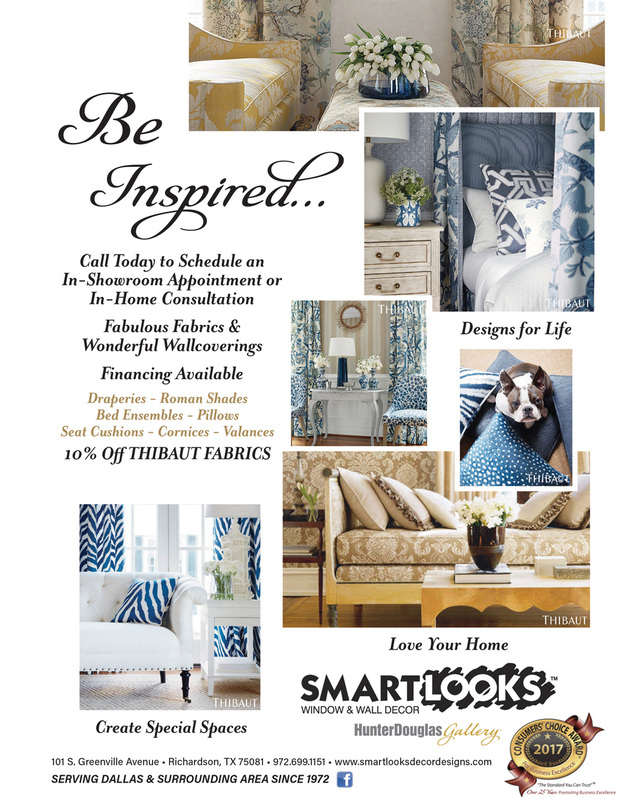 SmartLooks Window & Wall Decor is a wonderful boutique style Hunter Douglas Gallery Showroom specializing in beautiful custom window treatments. We’re proud to have served the Dallas area since 1972. We strive to deliver quality products in a timely manner with attention to customer service. Our Design Consultants, Installation Crew, and Showroom Staff are highly trained and experienced. Our goal is to provide each customer with a thoroughly satisfying shopping experience. We were honored to receive the Consumer’s Choice Award For Business Excellence In Window Coverings for 2006, 2007, 2008, 2010, 2011, 2012, 2013, 2014 & 2015 and wish to continue to exceed our client’s expectations! Thank you to our customers in Dallas, Richardson, Garland, Allen, Plano, McKinney, Frisco, Wylie, Rockwall, Rowlett, Heath, Royce City, Murphy, Sachse, Carrollton, Flower Mound, Lewisville, The Colony, Farmers Branch and Consumer’s Choice Award! We know that its not enough to simply offer superior window treatment products. Our Design Consultants, Installation Crew, and Showroom Staff are highly trained and experienced. Our goal is to provide each customer with a thoroughly satisfying shopping experience. Our professional window treatment design consultants will expertly answer your questions and ensure the perfect solution for your home is found no matter what your decorating style. And our professional installers will provide you with worry-free measuring and installation services.